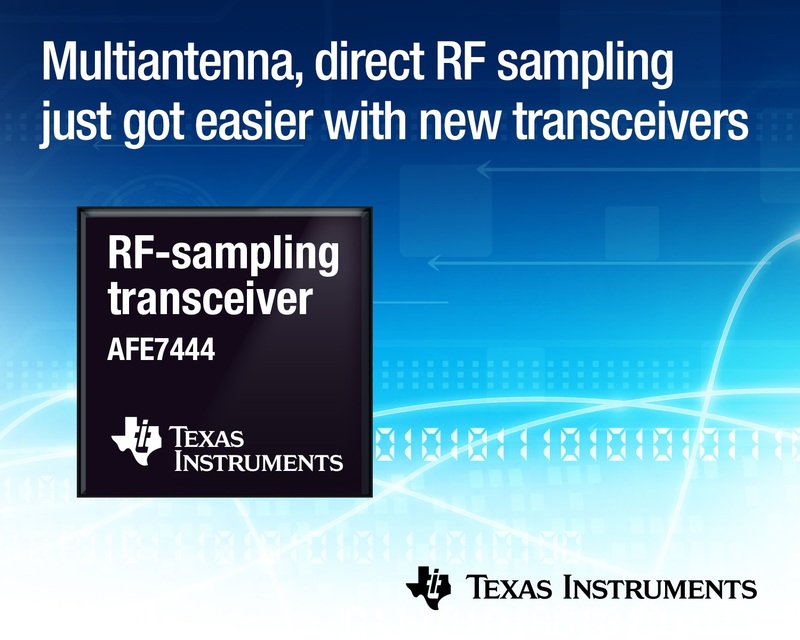 Texas Instruments has introduced two new RF-sampling transceivers that are the first in the industry to integrate four analog-to-digital converters (ADCs) and four digital-to-analog converters (DACs) in a single chip. With the industry’s widest frequency range, highest instantaneous bandwidth and 75 percent smaller design footprint than a discrete solution, the quad-channel AFE7444 and dual-channel AFE7422 transceivers help engineers more easily achieve multiantenna, direct RF sampling for radar, software defined radio and wireless 5G applications. The AFE7444 and AFE7422 join TI’s RF-sampling transceiver portfolio that meets engineers’ performance, bandwidth and power needs with high integration. TI’s new RF-sampling transceivers are available in production quantities through the TI store and authorized distributors. Packages and pricing are listed in the table below.